Prescription drugs cause over 100,000 deaths every year and cause another 1.5 million people to experience side effects so severe that they must be hospitalized. 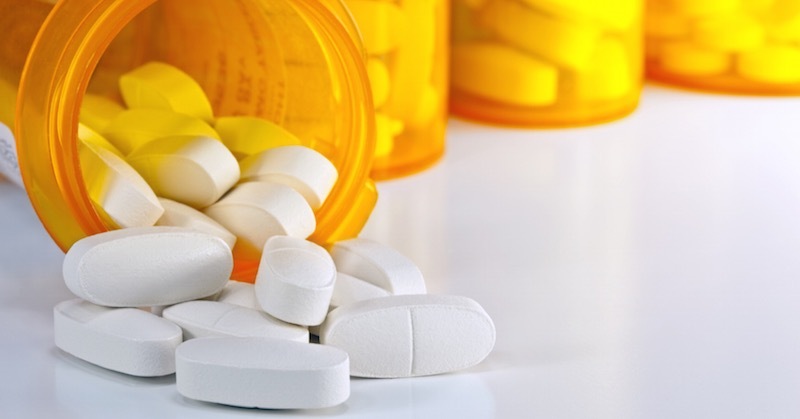 Adverse drug reactions are now the fourth leading cause of death in the US. Every medication carries some risks, and memory loss is a very common side effect. Studies show that pharmaceutical drugs can deplete your body of critical nutrients through multiple mechanisms, including increased excretion of nutrients, and impaired digestion, absorption and storage of nutrients. Over time, nutritional deficiencies can develop. And these deficiencies can cause additional symptoms and increase side effects. In fact, many drug “side effects” are simply nutritional deficiencies. Your doctor who prescribed you these medications is very likely not aware of the consequences of using these drugs. So, it does you well to understand how these nutrients can be depleted and the brain issues it can cause. Coenzyme Q10 is a molecule found in every cell of your body and plays a key role in the production of energy. It is also an antioxidant and protects your body and brain from free radical damage. Studies show that a number of psychiatric medications can deplete CoQ10. Low levels of CoQ10 leads to brain fog, mental fatigue, difficulty concentrating, memory lapses, depression and irritability. Other deficiency symptoms include increased blood pressure, muscle cramps, high blood sugar and shortness of breath. Magnesium is an important mineral that is required for over 300 biochemical reactions and functions in your body. This includes neurotransmitter (neurons in your brain for transmitting messages), enzymes and hormonal activities, all of which can have a huge impact on your mood and brain function. Interestingly, these symptoms are very similar to the list of side effects of psychiatric conditions! Inadequate magnesium levels can contribute and worsen any neuropsychiatric problems. This includes depression, anxiety, insomnia, seizures, ADHD, pain, schizophrenia, irritability, premenstrual syndrome, drug abuse and short-term memory and IQ loss. So if you or a loved one are taking any medication to deal with a mental health condition, consider supplementing with magnesium instead. Eat plenty of magnesium-rich foods that will help tremendously. These drugs have been found to lower a number of B Vitamins, including B2 (riboflavin), B6 (pyridoxine), B9 (folate) and B12 (cobalamins). B2: Riboflavin plays a key role in energy metabolism throughout your entire body. A deficiency can lead to low energy, weight gain and thyroid problems. B6: Pyridoxine is a key nutrient that boosts mood, deepens sleep and supports your nervous system. A deficiency of this vitamin include weakness, mental confusion, depression, insomnia and severe PMS symptoms. B9: Folate is a precursor needed to make, repair and methylate DNA, especially important in aiding rapid cell division and growth, such as in infancy and pregnancy. A deficiency in pregnant women can lead to birth defects. B12: Cobalamin is a coenzyme that is essential in the metabolism of every cell in the human body. A deficiency can lead to anemia, elevated homocysteine, peripheral neuropathy, memory loss and other cognitive problems. Prescription sleeping pills are notorious for causing memory loss. The popular drug Ambien has been coined by some as “the amnesia drug”. Some users experience night terrors, sleep walking, sleep driving, and hallucinations. Prescription sleeping pills have been found to put you in a state similar to being passed out, drunk or in a coma while bypassing the restorative sleep your brain needs. There are many better ways to get to sleep. One quarter of your brain is made up of cholesterol. Cholesterol is necessary for memory, learning, and fast thinking. So it is not a total surprise that cholesterol-lowering drugs negatively affect the brain. Richard C. Mohs, Ph.D., former vice chairman of the Department of Psychiatry at the Mount Sinai School of Medicine is compiled this list. As an author and co-author of more than 300 scientific papers, Dr Mohs has conducted numerous studies on aging, Alzheimer’s disease and cognitive function. These drugs block acetylcholine and are used to treat movement disorders (such as Parkinson’s disease), irritable bowel syndrome, asthma, certain types of urinary incontinence, and other problems. Scopolamine in particular is a strong memory blocker. Natural opiates come from the opium poppy Papaver somniferum. Narcotics are made from opium and are used legally as prescription painkillers. Many of the opiates are quite capable of interfering with both short and long-term memory and learning. Experts think these drugs interfere with memory by affecting brain chemicals including acetylcholine and norepinephrine. While many psychoactive medications interfere with memory, different drug classes within this broad category may cause different types of memory problem. In fact, the type and extent of memory loss may vary even among the drugs within the same class. Mild memory loss may be a potential side effect of chemotherapy. How significant a problem it is, which drugs cause it, how long it lasts, and what you can do to combat it are questions scientists are trying to answer. One Canadian study found that half of all women taking or finished with chemotherapy showed mild problems with cognition and memory. The women taking chemotherapy during the study had more significant memory problems than those who had already finished chemotherapy. If you’re taking any of these medications mentioned above, we recommend that you talk to your doctor if you believe it’s affecting your memory. Get your doctor to work with you to find better options—different prescriptions and/or making healthy lifestyle choices instead.